The mediterranean portion of South Africa is a very small piece of coastal lands on the southwest extreme of the continent. It is bounded by a number of mountains inland, including the Hottentots Holland, Langeberg, Swartberg and Outeniqua Mountains. This is the smallest of the world’s mediterranean climates accounting for only three percent of the total area of these climates, yet is home to over eighty percent of the world’s mediterranean plants. This dense proliferation of flora makes South Africa an important mediterranean region. Protea– Consisting of a 115 species this genus is not exclusive to mediterranean South Africa; it is found in various regions of the sub-Saharan parts of the continent. Evergreen shrubs and small trees make up the genus, which are revered for their showy flower heads, and used frequently as a cut flower. Leaves are typically leathery and often have hairy margins. 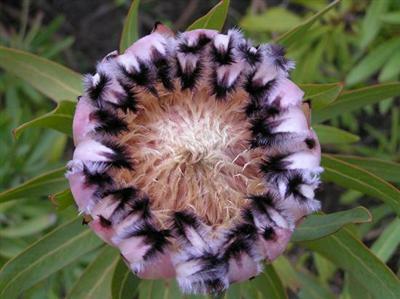 Cultivation of this plant can be difficult, Proteas need well drained, acidic soil. In South Africa itself, 82 species can be found with 69 of these being concentrated heavily on the coastal portion of the Western Cape. Seeds are often released as a result of fire. 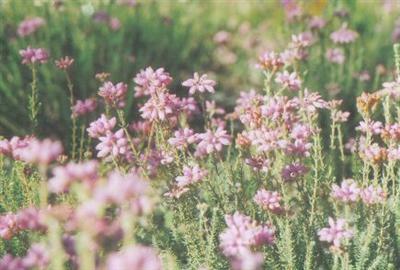 Erica– Of the over 740 species of this genus, 650 are native to South Africa. Of these 650, 625 are found in the southern most portion of the Cape. They are most likely to be found near the coast, on southern facing slopes where rainfall is high. They range from small to large evergreen shrubs, with characteristic small foliage. Those from South Africa often have long tubular showy flowers clustered in groups and short narrow needle like leaves. Stomata on these leaves are adaptive and lie on the underside of the leaf to reduce moisture loss. Ericas are found in other portions of the world as well, including the Mediterranean basin. 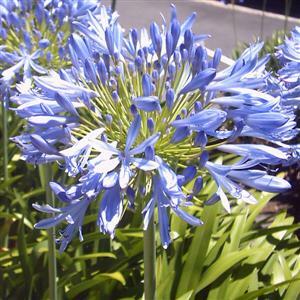 Agapanthus– These herbaceous perennials are native to Southern Africa exclusively. They are characterized by long fleshy green leaves and showy flowers, borne on large erect stems. Flowers come in a range of various shades of blue, with pinkish and white flowers available in some cultivars. These plants are popular because of their ability to grow with little maintenance or care. They range in size from dwarf varieties that may only be a foot tall, to larger more robust plants 3-5 feet in size. Unlike many mediterranean natives they require water in the spring and summer, and are fairly sensitive to frost.